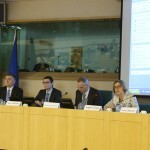 The URBAN Intergroup co-hosted a conference “Transition towards sustainable and liveable urban futures” which took place on Tuesday September 29th at the European Parliament in Brussels. 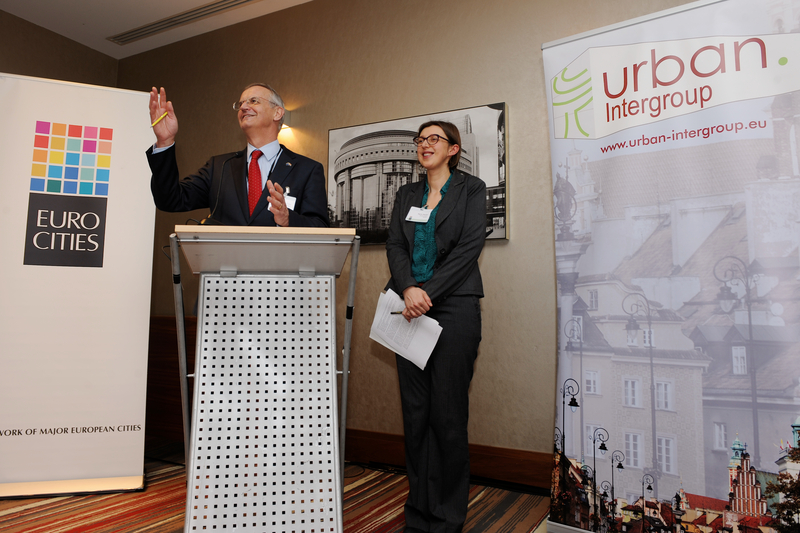 During the event Joint Programming Initiative URBAN Europe launched Strategic Research and Innovation Agenda. 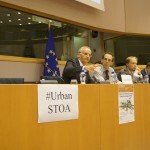 Lambert van Nistelrooij, Vice-President of the URBAN Intergroup, in his conclusions underlined that the event was a “very important initiative” especially in the context of the ongoing works on the EU Urban Agenda. He invited JPI Urban Europe to organise in the future at the European Parliament another meeting to show concrete effects of the implementation of the Strategic Research and Innovation Agenda. 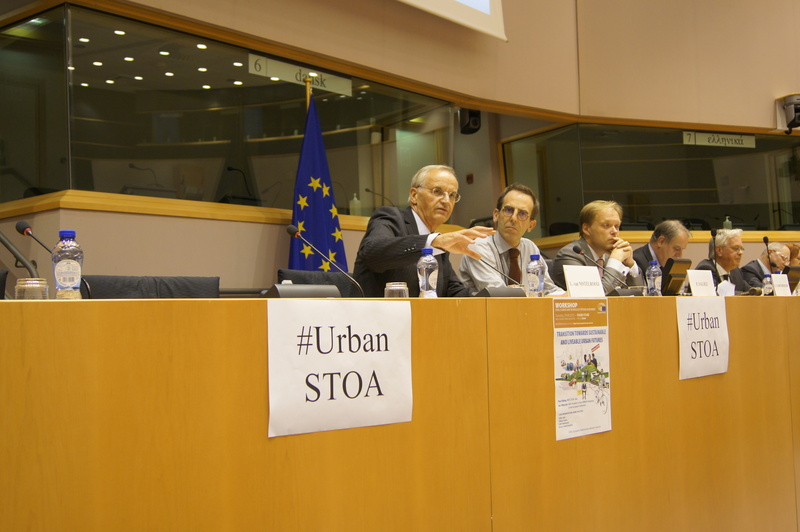 This event was co-organised with JPI Urban Europe (Member State-led initiative set up in 2010 to strengthen European research and innovation in the field of urban development), STOA (European Parliament’s Science and Technology Options Assessment unit) and DG Research and Innovation of the European Commission. 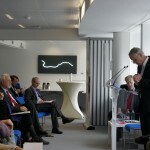 URBAN Intergroup organized jointly with the International Association for Public Transport seminar on Energy Efficiency and Urban Transport Systems on March 4th in Brussels. The main goal of the seminar was to better understand the current and future energy and transportation challenges in cities and to discover what practical actions cities and operators (Warsaw Metro, STIB-MIVB) undertake in order to make the urban environment more energy-friendly. Moreover, we discussed necessary political actions in the area of public transport, energy sustainability, climate change and urban life. 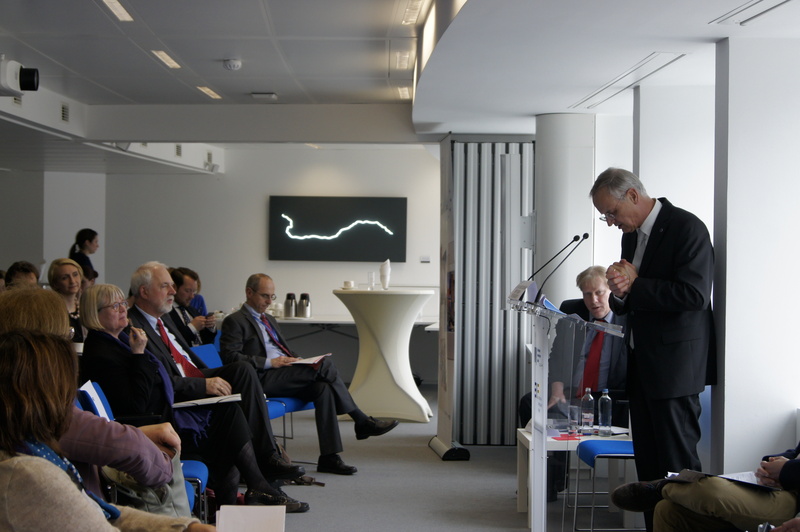 “We should be more smart, more green and we should create jobs” – with these words Lambert van Nistelrooij, Vice-President of the Intergroup, concluded the URBAN Intergroup’s and International Association for Public Transport’s seminar which was held on 4th March in Brussels. 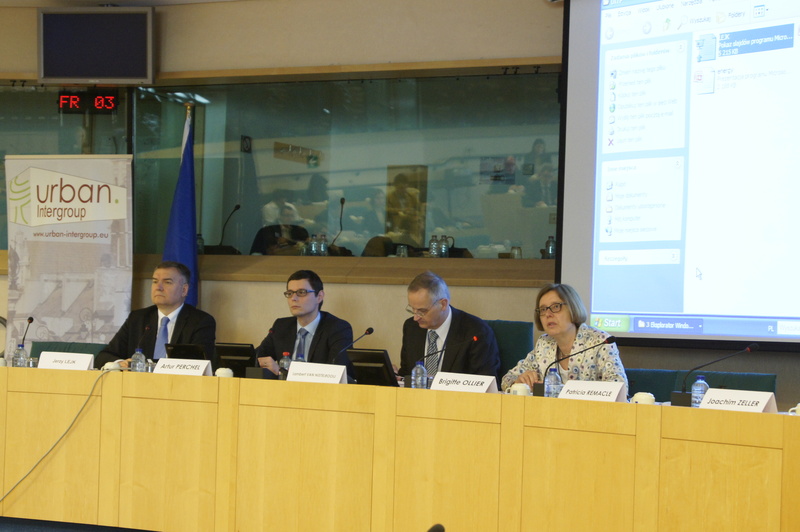 Apart from typical transport problems of urbanized areas, the CO2 emission was one of the significant aspects of the discussion, bringing us to a point that partnership in developing public transport is one of the key factors of European success in implementing Europe 2020 strategy. Joachim Zeller, member of the URBAN Intergroup, said that urban transport is one of the priorities of European Regional Development Fund. “The members of the European Parliament and especially members of the URBAN Intergroup worked hard during the negotiations of the all structural funds regulations for the programming period 2014-2020. Now, the last step of implementation of the possibilities offered by the European founds is up to the countries governments and local politics”-he added.